If you could choose just one word that personified your personal brand, what would it be? Words that reflect character values like ethical, honest or courageous? Or adjectives such as cool, gorgeous or rich? In reality, your personal brand, like any B2B or B2C brand, can rarely be articulated with a single word. But some brands can and do evoke a single word (e.g. Apple, cool; Volvo, safe; BMW, performance). Of course, iconic brands like these have been carefully shaped and nurtured over several years and millions of dollars in communications. People, like companies and products, convey subtle brand cues every day through packaging (clothes), how we speak (voice and tone) and how we work with others. All of these touch points have an accumulative effect on your personal brand and should be carefully cultivated to point to a single idea. Brand professionals sometimes refer to this as message alignment. 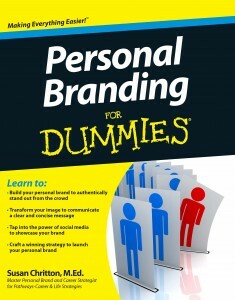 I’m not a personal branding expert, but many of the tenets of corporate branding apply to personal branding. That’s where I learned that even a single word—in or out of context—can reflect your brand. After noticing scores of vanity license plates—some clever, and others not so much—I began to wonder if the owners of these vanity plates were aware that they were conveying their “brand” to others on the road. Some of these single-word plates evoked a sense of whimsy and fun in their brands, such as Sing2me, Hothand or Dafodil (a yellow VW Beetle). One expressed their position on environmental issues with the plate Evrgrn1. These owners are apparently quite proud of their social status and possessions (wealth). But I don’t see a lot of upside to establishing your personal brand (or position) as the IMRICH guy. I’m sure that Warren Buffett and Sergey Brin don’t even have that stamped on their license plates—two truly rich guys. Sure, the buylow plate could very well be a stockbroker, which if true, would be a great brand for someone whose job was helping clients make money. My point to this article is that words do have a powerful effect on shaping brands—personal or corporate—even if they’re emblazoned on a moving billboard like a license plate. Make sure the words, images and other cues you associate with a brand accurately portray it. Especially if the brand is you. Want to learn more and take your branding to the next level?